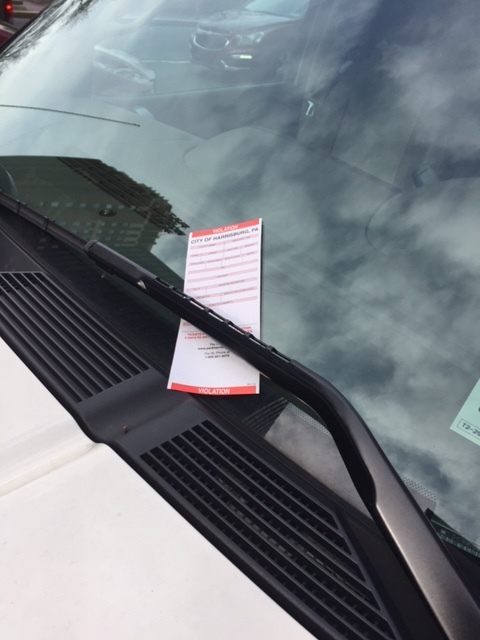 Click here for the Parking Ticket System for the City of Harrisburg, PA. The parking ticket website allows you to make a payment on any outstanding parking ticket issued to you by the City of Harrisburg, PA.
You will need your ticket number, the state in which your vehicle is registered, and your vehicle’s license plate number to make a payment. Payments are accepted by Visa, MasterCard, Discover and PayPal and you will have the option of receiving a receipt via email. Once your payment is complete your ticket will be marked as paid in the City of Harrisburg’s database. A $3.50 per ticket service charge will be assessed for tickets paid on this website. Parking tickets are payable at 223 Walnut Street, Harrisburg, PA 17101. Parking Ambassadors have no quotas to fulfill, and prefer to educate customers to help them avoid tickets. Towing and booting information can be provided by calling (717) 234-2274. * Payments by mail should be postmarked within four days of receipt to avoid receiving an added penalty fee. That is four days from the time you get it, regardless of weekends, holidays, etc. **After hours payments may be placed in the dropbox in the wall to the left of the outer doors and will be credited as received on the next business day.